← ASK FATHER: Why can lay people read at Mass? Archbishop Charles Chaput of Philadelphia has issued a great letter on the threshold of Lent. 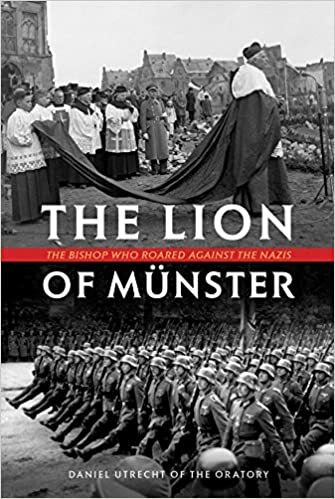 As I read it, the Archbishop’s reference to the history of the Church in German with the Nazi state and the 1933 , could be not only warning about our compromises with the three perennial enemies of the soul, but also on the current compromises with the the state in China. It also could be read as a warning about compromising with the world in the matter of Communion for the divorced and remarried. I suspect that that wasn’t the Archbishop’s intention, but the principle he underscores can be applied to many burning contemporary issues. Here is Caput’s letter which can be found at Catholic Philly with my emphases and comments. But there’s more. As it is in diplomacy and politics, so it is in every person’s individual life. [NB] The deals we make with the world, and the flesh, and the devil, always go south. The line dividing good and evil is usually — not always, but usually — pretty bright for anyone who wants to see it. Most of us really don’t want to see it, of course, because doing so would cramp our own daily behavior. We negotiate little “concordats” with our favorite personal sins, ugly habits and dictatorial appetites all the time. A daily examination of your conscience will help you to identify where your weak spots are and what konkordats you have made with the world, the flesh and the Devil. Know yourself! After you have identified them, you have to do three things. Second, resolve, even perhaps by writing it down and hanging it on the wall beneath a Crucifix, that you are willing to suffer. When you say “No!”, you will begin to suffer. Know it ahead of time. Be ready for it. Look it in the face. Be willing to suffer. Offer the suffering in unity with the Passion of the Lord in reparation, perhaps in accord with Our Lady’s words at Fatima. Third, GO TO CONFESSION! Each sacrament has its effects. One of the effects of the Sacrament of Penance is a strengthening against sin. Graces are offered to fight off temptations and to fulfill what you declared in the confession: amendment of life. Today, some prelates and theologians have, in effect, denied that people are capable, with the help of God, to amend their lives. In effect, they deny grace and God’s mercy. Yes, our application of mercy is important in this veil of tears, but not at the expense of truth and, therefore, heaven. We must fix our hearts and mind on the long game. When it comes to fulfilling the commandments God has given us and the image He wrote into us, we must be confident that God will not let us down. What God and the Church proposes is not just a “policy” that can be changed according to the changing circumstances and trends of society. Those who deny that God offers sufficient graces to sinners or who say that sinners cannot amend their lives, are agents of Hell. As I read I was reminded of a book about “The Lion of Munster”, Bl. Clemens August von Galen. It also reminded one of you readers, who sent me a note. This entry was posted in "How To..." - Practical Notes, Fr. Z KUDOS, GO TO CONFESSION, Hard-Identity Catholicism, Wherein Fr. Z Rants and tagged Archbp. Chaput, Archd. Philadelphia, LENT. Bookmark the permalink. 4 Responses to Excellent Letter for Lent from Archbp. Chaput of @ArchPhilly – Fr. Z rants, gives 3 points of advice about sin. Archbishop Chaput is one of the real gems of the Church. He is faithful to the Truth, has a spine, and is willing to call it as he sees it, much like our esteemed host and author of this blog. My prayers for you both and all the clergy will be doubled throughout this Lent – and after. Note the future Cardinal Ottaviani on the right of Cardinal Pacelli at the signing of the Concordat. People forget he died as late as late as 1979. Socialists like to sign treaties with disappearing ink. Then, if they’re National Socialists, they start marching Panzers around Europe. If they’re Communists, then they build even more People’s Glorious Ballistic Missile. It’s anyone’s guess what the New catholic Red Guard is up to these days, as they lounge around the Fishwrap offices in beanbag chairs, eating Cheetos and studying Acme blueprints. Have to get to that Lion of Munster book sometime.